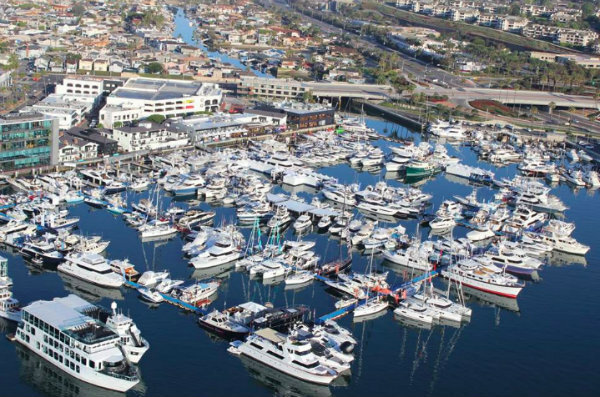 Celebrating nearly half a century as the West Coast’s premier destination for cruisers and yachts, the Newport Boat Show returns to Lido Marina Village April 25-28. The seaside shopping and restaurant complex features upscale boutiques, eateries and lifestyle shops. The four-day boating event will feature more than 200 new and brokerage boats of all types and price points, including trawlers, cruisers, sport fishers, sailboats, catamarans, motor yachts, along with shoreside booths offering the newest accessories and gadgets. Marine enthusiasts are invited to climb aboard the latest models, to experience the luxury and technology found in the latest vessels. Boating services will also be showcased at the annual show, including marine financing and insurance. Standup paddleboard exhibitors will be on site for guests to ask questions and observe the latest boards. More than 60 dealers will be participating in the four-day event including Sun Country Marine, California Yacht Company, Denison Yachting, Canadian Electric Boat Company, Hampton Yacht Group of California, Newport Yachts Inc., Long Beach Yacht Sales, Naos Yachts Inc., Silver Seas Yachts, South Coast Yachts, West Coast Yachts and many more. $15 for adults; youth 12 and younger accompanied by an adult free; $5 discount to active and retired military with valid ID. Tickets can be purchased in advance at newportinwaterboatshow.co or day-of-event at the box office. Show Hours: Thursday, April 25 12 p.m.- 7 p.m., Friday, April 26 – 10 a.m. -7 p.m.; Saturday, April 27 – 10 a.m.- 7 p.m.; Sunday, April 28 – 10 a.m.-5 p.m.
Lido Marina Village is at 3424 Via Oporto in Newport Beach.